Pastor Jay is a Southern California native, and accepted his current call to St Mark in August of 2017. Pastor Jay graduated with a Master’s in Theology and Culture as a student of St Louis Seminary via the Cross Cultural Ministry Pastoral Certification Program (CMC) located at Concordia University in Irvine, California. The CMC focuses uniquely upon equipping students and future pastors to infiltrate strategic urban settings as church planters. As such, Pastor Jay spent the the last 2 years of his seminary training and the first 3 years of ministry as pastor of The Gathering; a church plant of which Pastor Jay was founder. 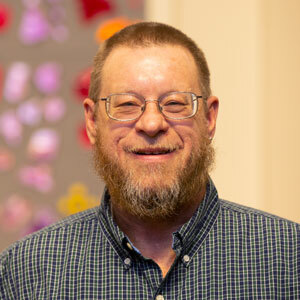 After also serving for a brief time as the Interim Pastor at St. Luke’s in Westminster, California, Pastor Jay accepted a call in 2012 as sole pastor of St John’s Lutheran Church in El Segundo, Ca. 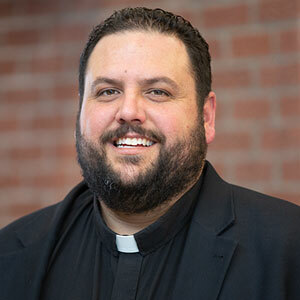 After accepting the call to St Mark’s in August 2017, Pastor Jay preceded his wife Sarah and daughter Elizabeth who later joined him here in Omaha. Much of Pastor and Sarah’s time outside of church is spent with their 2-year-old “Dizzy” Lizzy and preparing for the arrival of their second child in April of 2019. With degrees in Music Performance, Pastor and Sarah also love performing and teaching music (they met and married while attending the Chapman Hall-Musco Conservatory of the Arts). I was born in Kearney, Nebraska. I’m married to Penny and we have two boys, Tad and Philip; and one exchange student, Seong Ji Ha. I started working at St. Mark in April 2009 and currently serve as the Operations Manager/Member Assimilation Manager. My key responsibilities are facility management and incorporating new disciples to the church. I have a BS, Business Administration and an MBA from the University of Nebraska at Kearney. I’m currently enrolled in the Lay Leadership Program (Licensed Deacon Program), Nebraska District LCMS. Prior to coming to St. Mark, I held various positions at Hewlett Packard, Compaq, Inacom, Pamida, and K-Mart. I’ve also held positions as a Stephen Minister, Youth Ministry board member, Spiritual Life board member, Outreach board member, and Sunday School teacher. My favorite bible verse is Ephesians 3:14-19. Casey Roberts is originally from the town of Wamego, Kansas. He went to college at Concordia University in Seward, Nebraska where he double majored in Theology and Christian Education Leadership. He also was blessed to have the opportunity to compete on Concordia’s nationally recognized Cross Country and Track programs. He served a year-long internship to become a Director of Christian Education (DCE) at Mt. Calvary Lutheran Church in Indianola, IA before taking the call to become the DCE at St. Mark. During his spare time, Casey enjoys meeting new people, listening to music (Garth Brooks and Newsboys are two big favorites), seeing a good movie and cheering for the Kansas City Chiefs! I graduated from the University of Nebraska at Kearney with a Bachelors’ Degree in Elementary Education. I recently added an Early Childhood Endorsement through Peru State. My husband Mark and I live in Bellevue and have been married for 30 years. We have two children, Matthew and Laura, who both live in Omaha. My family worships at St. Matthews, in Bellevue, Nebraska. My first teaching job was in Copperas Cove, Texas, I spent three wonderful years teaching 1st grade before moving to Germany where I ran a Co-op Preschool for the Department of Defense. After moving to Nebraska in June of 2000, I taught Preschool for two years and then Kindergarten for seven years at Pilgrim Lutheran in Bellevue, Nebraska. Prior to coming to St. Mark I worked as a contractor on Offutt Air Force Base for Parents as Teachers Heroes at Home as an in-home visitor for children birth- to age-3-years-old. This is my sixth year at St. Mark Preschool as the Director and Lead teacher for our Pre-K classes. I love being an early childhood educator and am honored to share the love of Jesus with children. I enjoy reading, horseback riding, cooking, gardening and woodworking. My parents, siblings, and in-laws all live in Nebraska, so we are blessed to be able to spend time with our family. In addition to being our amazing new Administrative Assistant for the church office, Torri also shares her gifts with the Concordia Academy here at St Mark. 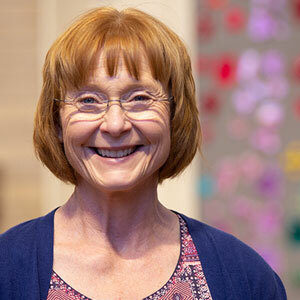 Her roles include being a 3rd & 4th grade Paraprofessional, Learning Center administrator and Day Care professional for both before and after school programs. On top of all this, Torri is passionate about her work as a Registered Nursing professional here in the city of Omaha.